This workshop focuses on improving Forensic Decision Making, and is tailored to the specific participants. It covers brain and cognitive issues relating to cognitive and human factors issues in decision making. It then connects the cognitive science issues to practical and specific issues in forensic work. In addition to knowledge about the cognitive and human factors in forensic decision making, the program also provides practical solutions to address weaknesses as well as best practices to enhance forensic practices. The deadline for registration is March 28, 2019 by 5:00 pm (MT.) In order to secure a seat in a course, payment must be made in full. Seats are available on a first-come, first-served basis. This workshop can be tailored to CSI, forensic examiners, forensic reporting officers, expert witnesses, QA or supervisors/managers across the forensic science domains. This training program is appropriate for beginner, intermediate, and advanced level staff. Dr. Itiel Dror is a world-renowned cognitive neuroscientist who received his Ph.D. in Harvard (1994) in the area of cognitive factors in human expert performance. Since his Ph.D. over twenty years ago, Dr. Dror has been researching this area, and has published over 100 peer-reviewed articles specifically looking at cognitive factors that mediate human expert performance. His insights and understanding of the human brain and cognitive system underpin the workshop. Dr. Dror has been working in the forensic domain for over a decade and is the person who introduced the human and cognitive factors to the forensic community and has made this issue central in forensic science. Over the last decade Dr. Dror has worked with a variety of forensic laboratories across the United States, in which he has visited and shadowed examiners doing casework, reviewed SOPs and practices. Dr. Dror was the Chair of the OSAC Human Factor group, which is responsible for the cognitive factor issues across all the OSAC forensic domains. The National Commission on Forensic Science has recognized Dr. Dror as the leader in this area and has asked him to present to the commission and appointed him to their Human Factors subcommittee. He was invited to present (as well as cited by) the National Academy of Science report on forensic science (NAS, 2009), and the President’s Council of Advisors on Science and Technology report on forensic science (PCAST, 2016). Dr. Dror has also been working with many other forensic bodies and has many more credentials in this area (a full 57-page CV is available). The recommendations on cognitive and human factors of the NCFS and the NAS report, and other bodies are mainly based on the research and work conducted by Dr. Dror. His workshops on this specific issue have been delivered with great success to the FBI, NYPD, LAPD, San Francisco PD, Kansas PD, Boston PD, and many other forensic laboratories across the United States. As the world leader in this area, Dr. Dror has also been commissioned to deliver this workshop in a variety of countries across the world. 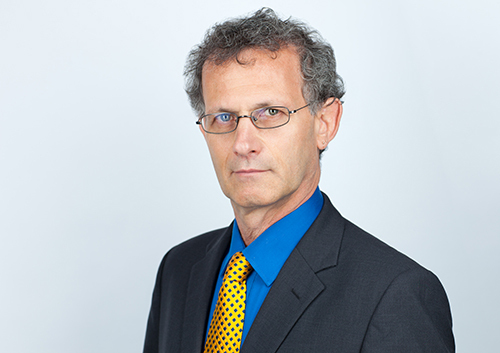 More information about Dr. Itiel Dror can be found at Cognitive Consultants International HQ.